Are you considering a move to the Big Apple? Relocating to New York will be one of the most exhilarating journeys you’ll ever embark on. The city that truly never sleeps is like none other in the world, and CityRealty can help you make your move here seem effortless. We recommend that you take the time to get to know the city and all of its diverse neighborhoods—which by the way are not just limited to Manhattan. To find out what neighborhood is right for you, a few things you should consider are your commute time and what neighborhood amenities are important to you (e.g. Do you need to live near a park? Do you want to be in an area with a lot of restaurants and cafes?—although some neighborhoods really do have it all). Once you’ve determined what you want from your neighborhood, figure out what type of property best meets your needs. New York City has a wide array of living spaces when compared to other metropolises, and you can choose from condos to co-ops or townhouses to oversized lofts. Lastly, you'll need to decide whether to buy or rent. Like anything, there are pros and cons with both and you'll want to be sure to weigh the relative benefits carefully before you decide. If you have any questions about relocating to New York or need assistance, don't hesitate to call us at (212) 755-5544. Relocating to New York can be one of the most exhilarating moves of your life. The City that truly never sleeps is like none other in the world and CityRealty can help your move to New York City seem effortless. Take the time to get to know the City and all of its diverse neighborhoods. To find the one that is right for you, consider your commute and what neighborhood amenities are most important to you - parks, restaurants, museums, charm or nightlife (and some neighborhoods have it all!). Next, you will want to determine what type of property best meets your needs - New York City has the widest variety of living spaces when compared to other metropolises. Choose from condos to co-ops or townhouses to oversized lofts. Lastly, you'll need to decide whether to buy or rent? Like anything, there are pros and cons with both and you'll want to be sure to way the relative benefits carefully before you decide. Welcome to New York City, a city like no other. No other place has so much going on in such a small space. For that reason, CityRealty has put together a full relocation guide to help your move to New York be an enjoyable and an educated one. The guide covers everything from planning your move, to getting acquainted with the city and its neighborhoods, to introducing you to the local real estate market and types of properties you can rent or buy. For the past decade, New York City has been experiencing a rebirth unlike any other city. Its beauty, history, culture, and of course, its people have once again rejuvenated this tour capital of the world and have made it an even more intriguing place to live. What makes New York special is its contagious energy and excitement. At the center of so many industries, New York is truly on the cutting edge of civilization. While other cities are only beginning to shape a skyline, Manhattan has captured the world's imagination as the most magical exuberating city for centuries. New York City and Broadway are synonymous; maybe that's why some consider New York to be a spectacular stage set with the world's most fascinating and colorful actors. In the last quarter-century, the amount of office space in New York has doubled and the skyline has gotten thicker and broadened. New York's hotels, restaurants, and theaters are packed every day and night. New York City challenges you to stay awake, to beat the light, to get to the top, to survive, and to succeed. If you have any suggestions or do not find what you are looking for, contact us. Whether your intent is to buy or rent your next home, New York has a wide variety of styles and sizes offering everything from magnificent, 19th century brownstones and pre-war classics all the way to the most modern and sophisticated luxury hi-rises. Below is a selection of categories, to help you get started in getting to know local properties. Generally speaking, there are two types of luxury doorman buildings in New York. The post war buildings, erected between 1950's and 70's. They are generally 10-20 stories high, drawing attention with their decorative facades and elaborate lobbies. They are the choice of those who value the combination of old architecture and the conveniences of modern living. Their biggest draw back is that most don't offer many extra amenities such as a health club, swimming pool or garage parking. The other type are the modern and sophisticated hi-rises, for which this city is famous. They are anywhere form 20-60 stories high, offering all of the conveniences of modern day living. Perhaps best known for its magnificent loft spaces New York has many styles and sizes to choose from. True lofts are former commercial or industrial buildings that have been converted into apartments. Generally, these are large open spaces with high ceilings, leaving much room for customization and creativity. In general lofts are a perfect place for all those who enjoy space, hardwood floors and who do not mind foregoing the services of a doorman or a laundry facility in the building. However, some of the trendy new developments in SoHo, Tribeca and Chelsea now offer full-service quality living, including full-time doorman, laundry and maid service as well as gyms and recreation rooms. This description is usually reserved for tall, non-full-time doorman buildings built between late 1940's through the 1970's. They are generally six to twenty stories high, and have an intercom security system, some may even have video security. They are usually constructed of white, red or brown brick and most offer sizable lobbies with elevators. The units are not as large as their luxury counterparts and the buildings don't have any of the extra amenities, but the prices are considerably less making them the number one choice of those who like the modernity and convenience of extra appliances. Prewar buildings are those built before World War II. They are usually ten to twenty stories and are not known for views, except of course those along the Park or River. They are recognized for architectural interests with features such as larger rooms, fireplaces, hardwood floors and higher ceilings. They can be doorman or non-doorman buildings. Most of them have also been updated and offer all of the modern appliances and amenities. The only true home you can buy or rent in the city. They are usually 4 to 6 story buildings built in the 1800's through the early 1900's. They can be either single family houses or conversions into multiple apartment units. Most have grand living spaces and, therefore, will be quite expensive. Generally, these buildings afford more charm with features such as gardens, fireplaces, beautiful floors and ornamental wood moldings. In almost all cases these buildings will not have a doorman. These are by far the most numerous apartment buildings in New York. They come in different styles and sizes, from pre-war classics to more recent 60's and 70's constructions. They are usually 3-5 stories high and are called walk-ups because they do not have elevators. Most units are considerably smaller than in other types of properties but come at much cheaper prices. The condition and features vary from building to building. The decision to rent or to own an apartment in New York City is a matter of a choice of lifestyle- of economics, stability, and customization. CityRealty cannot tell you which one to choose but we can share with you the pros and cons of each option and our 10 years of experience in helping people make the right decision. Buyers are usually settled in their decisions to buy. 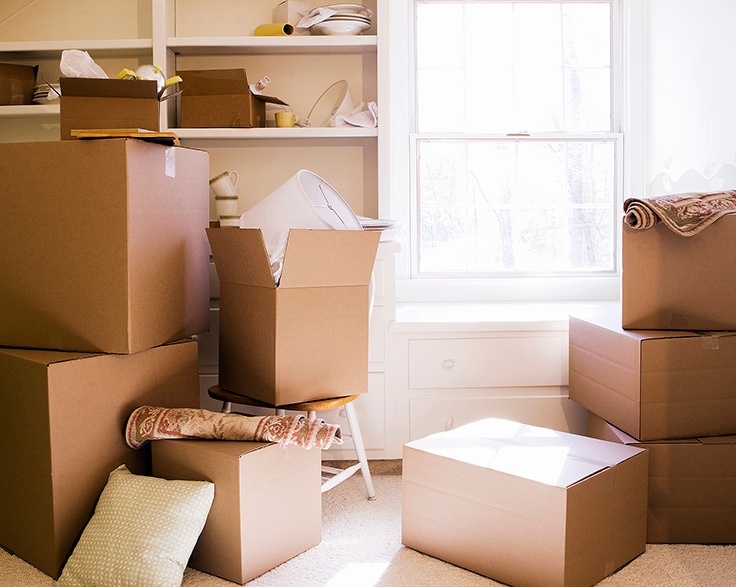 The move is often associated with a more serious decision, encompassing all aspects of their life. This change could be in response to a recent job change or promotion, a marriage, or just a change of lifestyle. Unlike renting, buying is generally a more complex and time-consuming process that requires a certain amount of psychological and financial commitment. However, buyers look forward to moving in and getting settled in their new home. The comfort and privacy that it offers is usually the most important thing to them and they love every aspect of being and feeling at home. They also look forward to customizing their new living space, from knocking down walls and building new ones, installing new heating and cooling equipment, to arranging their bathrooms and kitchens. Buyers are often attracted by the financial advantages that owning property offers. First of all, they are not "throwing" money away on rent. Secondly, in the event they decide to move out they always have an option of renting their apartment to others and thus generate income. 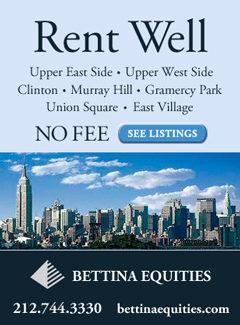 Owning real estate in New York is considered to be a very solid investment. As a matter of fact many New Yorkers have found it to be an excellent investment over the years. Some who purchased apartments on Fifth Avenue in the mid-1970's soon after the Oil Crisis for, say, $50,000, found them to be worth a few million dollars in the late 1990's. Such dramatic appreciation, however, does not always occur. Prices in the 1950's and 1960's were relatively stable and suffered a bit after the Stock Market Crash of 1987. Buying an apartment offers the advantage of many tax benefits as owners are able to deduct property taxes and mortgage interest on their income statements. Such "tax benefits" are not available to renters and are substantial in a comparison of monthly maintenance costs and monthly rental. They can often result in dramatically lower monthly housing costs. Another important consideration is that renters are not tying up capital in the purchase of an apartment, which does not generate revenues, although it may promise long-term capital gains. New York City real estate historically has had its ups and downs and while property values have risen remarkably since the late 1990's, there have been periods of quite stable values, sudden spurts, long plateaus, and some dips. For more information about the tax benefits associated with buying an apartment, please contact your accountant or financial consultant. Condominium and co-operative buildings are usually constructed to a higher standard than most rental buildings. Their general superior size, layout, and amenities reflect the more stable and comfortable living situation of their occupants. In addition, since apartment owners participate in managing and maintaining all common areas, they also tend to be in much better condition then the apartments in rental buildings. In general you can expect much more for your dollar in an owner occupied building than in a tenant occupied one. A second reason that holds people back from purchasing an apartment is the long-term commitments that they need to make. Buying a home is usually a decision that encompasses all aspects of a buyer's life. It requires a financial commitment to re-pay a loan over an extended period of time. It makes one legally responsible for all aspects of owning residential property such as: taxes, compliance with city regulations, maintenance, service, supplies, etc. Buying an apartment is also an important part in one's overall life process. It signifies a certain degree of maturity and willingness to change which in turn require a strong psychological commitment in deciding on choosing and living in your next home. Making the commitments, getting the funds together, and finding the right apartment is just half the job when buying property in New York. If you choose to move into a condo or co-op, you must be approved by the organization that governs the building. In the case of condo associations the rules are not so strict and most people get in without any major difficulties. If you are applying for a co-op however, the issue can be much more complicated. New York City is famous for having the hardest approval requirements on co-operative buildings. The local boards have effectively rejected the applications of such celebrities as Madonna, Michael Douglas, and Whoopi Goldberg. Often it is not the financial situation of the applicant that concerns the board, but simply they pick and choose at will who they like and don't like based upon their individual preferences. To find out more about co-op boards and condo associations, their differences, similarities, and how they work, visit our Buyer's Guide. Renting an apartment is by far an easier and more convenient way to start living in New York City. From legal, financial, and psychological standpoints it is a very simple hassle-free process that usually takes anywhere from an hour to two weeks time to complete. It is the choice of many who come to the Big Apple. No matter if you are coming here to work, don't yet have a job yet, or even if you do not have any particular plans and just want to experience life in this unique and intriguing city, renting is easy, fast, and convenient leaving you with a lot of flexibility in future decisions. Renting is also the choice of many new comers who would rather buy but are either not familiar enough with the city, not quite ready to make that kind of commitment yet, or who simply do not have the substantial amount of capital it takes to put down on a condo or a co-op. In such cases, renting becomes the number one option. While they are renting and living in the city they get to know the neighborhoods, save money, and get ready to make that decision to buy their next home. Renting is obviously the more affordable solution... in the short run. First of all, there are no large down payments, although you will have to pre-pay anywhere from 2-3 month's rent upfront. (See our Renter's Guide for more details.) Secondly, there is no mortgage, attorney, insurance, or any other closing costs associated with renting. You do not need to pay monthly maintenance or occasional assessment and repair fees (these can sometimes be a real knock to your budget). Finally, you do not pay taxes when you rent. In most situations all your financial obligations are limited to rent, gas, and electricity (heat and hot water are included in most rental buildings), and in some instances, a one-time brokerage fee. Most people that rent value the psychological freedom of not being tied by a long-term financial and emotional commitment to any one apartment, neighborhood, or city. They prefer to write a check once a month and not have to worry about the old refrigerator, broken dishwasher, squeaking staircase, or the aging roof. The major drawback of renting is that no matter how long you lived in your apartment, whether for a month or for 20 years, you own nothing once you move out. Moreover, the money that you "throw out" on rent does not fall under any tax categories and cannot be used as deductions on your tax returns–something that is a right if you purchase property. These write-offs can add up to be substantial amounts over the years. Because of their transient nature, rental buildings often are not of as high a quality as cooperatives, or condominiums. While there are many extraordinary rental buildings in New York, on average co-ops and condos are still built to higher standards, especially in terms of room sizes, layouts and amenities. As a renter you will be forced to accept many peculiarities of your building and apartment. Among the most common issues are: lack of elevator, aging staircases and roof tops, liking the kitchens and bathrooms, color of your walls, and of course your kitchen and bathroom equipment. Even though in many cases landlords will let you customize your living conditions, the costs of getting a new refrigerator or buying an air conditioner are so high that many renters just don't find it economical to do it on their own and thus, put up with whatever the landlord is willing to provide. New York real estate is one of the most vibrant, challenging and constantly growing marketplaces in the world. With the highest residential real estate prices in the US, it is both prestigious and profitable to own property in this city and many consider it an accomplishment just being able to rent an apartment here. Historically, there have been numerous factors that shaped the way New York real estate has evolved. From the early beginnings of this century, Manhattan has been the land of dreams and opportunities for millions who desired nothing more than to come, live, and realize their dreams. It has been this constant and diverse wave of immigrants from all over the world that has helped turn New York City into the cultural and financial capital of the world. This attraction has been a self-perpetuating wheel ever since, constantly driving more and more people to come and experience this unique and intriguing city. As a result Manhattan is now home to an estimated 5 million people, plus additional 4 million who come to work here every day. This translates into enormous amounts of commercial and residential real estate confined to a small island with an approximate area of 60 sq. miles. In addition to demographics and geography, Manhattan's real estate market has been driven by the city's central role in world commerce. With representatives from all major firms and industries, New York is the place of destination for everyone who want to be known and respected in the business world today. 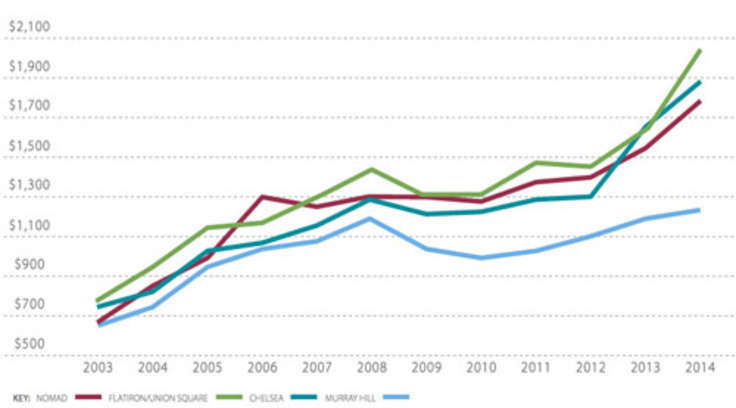 Besides its history and commerce, Manhattan real estate has an asset that few other cities in the world can match. It is indisputably one of the most prestigious cities to live in. Numerous celebrities from all over the world reside here, in the most prominent neighborhoods such as Fifth Avenue by Central Park, Columbus Circle, or on Central Park West on the Upper West Side.